Archangels are the over seers of all the angelic kingdoms and they each represent certain energetic qualities. These are the characteristics that we tap into when we call upon these angels. Angels are energy beings. They are not physical, but they can put their essence into physical objects or even be seen as people and act out angelic service by these means. 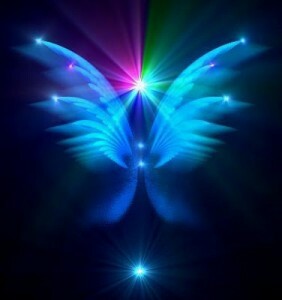 Angels are messengers and guardians of Source light and encourage us to create our highest potential. 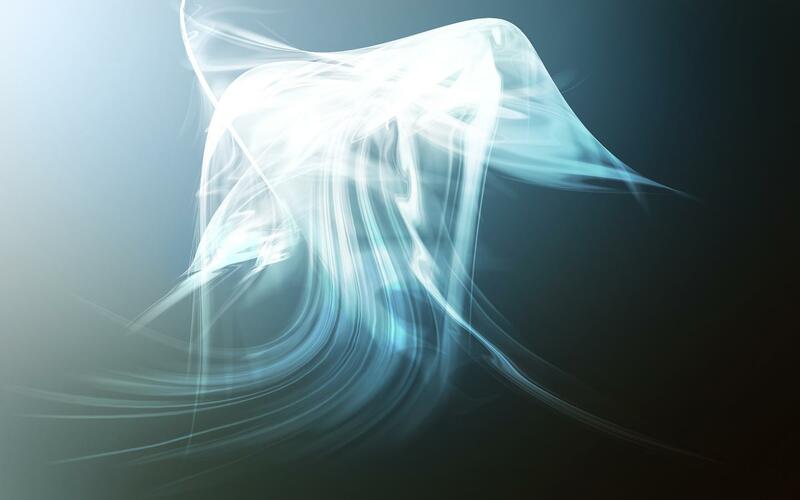 Amariah has channeled several Archangels and guardian angels for personal and group sessions. The following are among them. The Andromedans have often been mistaken for angels, as they are higher dimensional winged humanoid beings that come to Earth on light wings of angels. Below are some summaries of qualities or vibrations of the angels, some of which is yet to be verified in channel. Uriel is known as the Archangel of Creativity, his name meaning “fire of God.” This celestial being kindles artistic fires in the mortal heart. Uriel is the patron angel of literature and music. He also grants the gift of prophecy and therefore inspires our clairvoyant and psychic abilities. He is the chief in the order of Seraphim and the order of Cherubim. 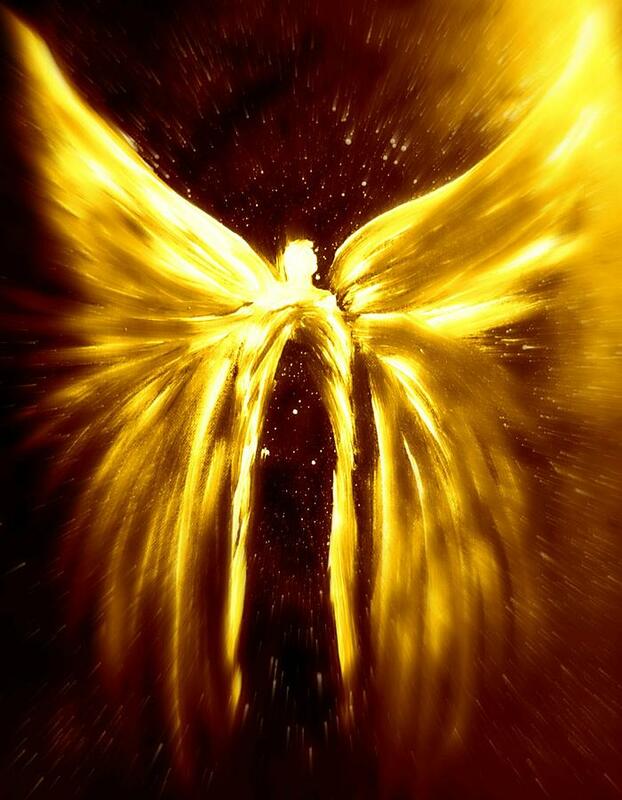 Often identified as the angel who “stands at the Gate of Eden with a fiery sword.” He is Golden in color vibration. 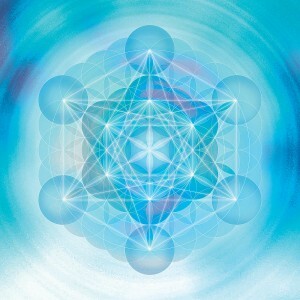 The name Metatron literally means "the throne beside the throne of God." Metatron is credited with being an archangel who led the children out of Israel and also stopped Abraham from sacrificing his son, Isaac. Metatron helps us communicate with God and brings God's presence to us and opens up our hearts in order to better receive this guidance. He is supervisor of the Akashic Records, the energetic archives where all our thoughts and lives are recorded eternally. The Metatrons Cube holds more secrets to this angelic force as it contains profound knowledge within its geometry. Metatron has been identified with the Prophet Enoch and some say he was Enoch. It has also been said that he was the Angel who provided humanity with the 22 Hebrew letters and the original Tarot. The first Angel created by God, Michael is the leader of all the Archangels and is in charge of protection, courage, strength, truth and integrity. His name means "he who is like God" and he is the chief over the dominion order of virtues, angel of repentance, righteousness, and ruler of the fourth heaven. It is commonly believed that Michael was the angel that Moses communicated with in the burning bush and that he also saved Daniel from the lion's den. He inspires truth, patience and love in the human heart. In Roman Catholic tradition, Michael is considered to be the patron angel of policemen, guiding and guarding them as they protect us. He is also thought to be the one who gently leads our souls to heaven. Michael is ruler of the Sun and radiates purple, violet, and indigo and holds golden keys to miracles. Raphael is known to be healing to all living beings. The name means, "divine healer." This angel also grants us many gifts, including joy, love, grace and creativity. He encourages self-motivation in living our life purpose. Besides being ruler of the angels of healing, Raphael is considered regent of the sun, chief of the order of virtues, governor of the south, guardian of the west, ruling prince of the second heaven, guardian of The Tree of Life in the garden of Eden and an angel of prayer, love, joy, and light. He belongs to the order of cherubim, the dominions, and the powers. He is said by some to be the friendliest and funniest of all the angels. Raphael radiates green and yellow healing rays. 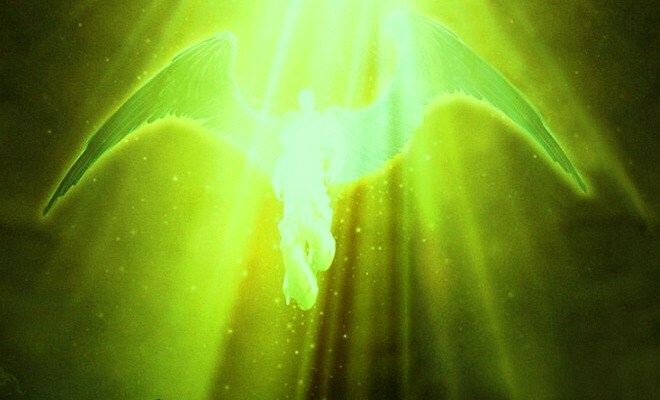 Gabriel is one of the two highest ranking angels in Judeo-Christian and Islamic lore. Her name means "strength of God". She is a unique archangel in that she is an acknowledged female angelic presence in the higher echelons. Gabriel fosters joy, truth, justice and love. She grants wisdom in interpreting our dreams and visions. Gabriel is the ruler of the Moon as well as navigation, ocean voyages, motherhood, fertility, children, the home, domestic issues, starting new ventures, enhancing psychic powers, astral travel, birth, clairvoyance, dreams, emotions, imagination, inspiration, intuition, secrets, sleep, women's mysteries, and reincarnation. 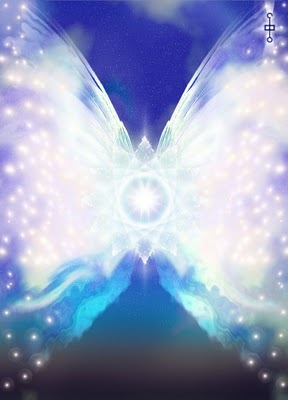 Gabriel embraces us with messages through her angelic pure white light. An unseen hand, a guiding light, a specific angel is attracted and assigned to you based on your soul mission and inclinations. As your soul's spiritual mother, she holds the blueprint of your perfection and knows how you can best evolve. She protects you and brings messages of inspiration. She cannot alter your personal free will, but is permitted to influence you toward your higher good. She stays with you throughout your lifetime and is dedicated to strengthening and encouraging you on your path.